Foxy Bingo are always leading the way with their promotional offers and special bingo games, and currently you have the chance to take part in their Million Squid Giveaway promotion on which they are going to be giving away in total £1million worth of prizes to their players. You do need to be a member of their bingo site and over the age of 18 along with having a funded account to take part in this promotion which is running from now right trough until 23:59 GMT on Friday 31st May 2017. This promotion is offered by way of a special game you play on the Foxy Bingo website you can play that game once in March once in April and you will be given one final chance of winning a share of that massive prize pool in April 2017 too. You simply need to log into your account and the game will launch automatically, there are a set of terms and conditions associated with this promotional offer which we suggest you read through to ensure you know how to qualify for this promotion, and those terms and conditions can be found on the Foxy Bingo website. There is a guarantee minimum of £1,000,000 that is going to be given away in prizes over the duration of the promotion and for reference the maximum single cash prize is £1,000. New players are able to take part in this promotional offer however please do be aware that there is a 24 hour wait period before you can play the £1m squid game once you become one of their newly funded customers. 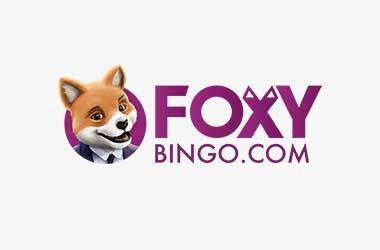 If you for whatever reason have never come across Foxy Bingo before then you really have been missing out on one of the most fun to play at bingo sites anywhere online, they have a wide spectrum of different bingo games and a huge and varied range of side games too. Plus, as a new player the very second you register as one of their new bingo player you are going to qualify for their new player welcome bonus offer and will then get offered a huge and growing range of additional bonuses too. There have been some massive bingo jackpot winners at Foxy Bingo and with bingo games available 24 hours a day along with low cost bingo tickets you really will have a ball when playing their coupled with the fact there is a large Foxy Bingo player community who actively make use of the chat room facility you are always going to find it fun and exciting when playing at Foxy Bingo! On final thing to note is that you can also play free play bingo games too, and lots of those free to play bingo games offer large cash prizes!